This versatile blue Lazio is the perfect pick for just about any occasion. 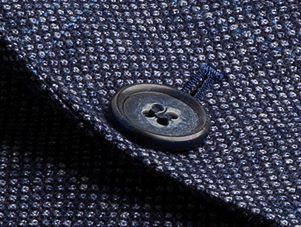 Tailored in a slim fit, in a super 100’s lightweight, Australian Merino wool cloth, with subtle textured check pattern. 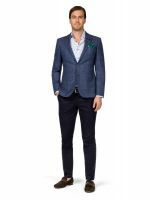 Styled with patch pockets, notch lapel and finished off with subtle pick stitching throughout.